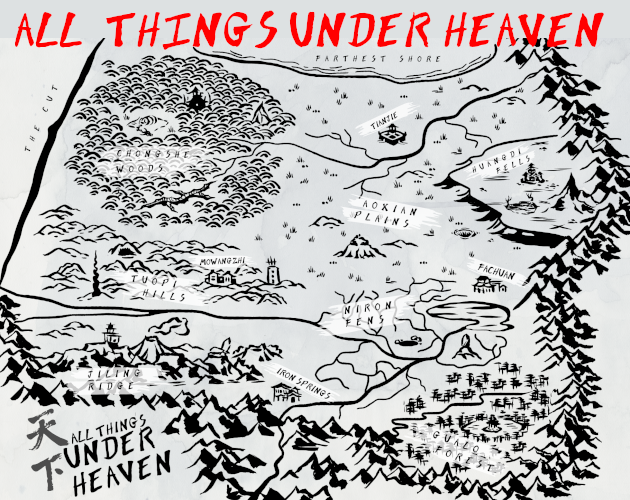 All Things Under Heaven is an RPG about exploration, adventure, and discovery in an eerie world haunted by folklore and inspired by the culture of dynastic China. It is a Powered by the Apocalypse game for 1 GM and 2-5 players, that can be run as a one-shot, a short (4-8 session) season, or a longer (12+ session) campaign. It is currently in PUBLIC PLAYTEST. It is made available not in exchange for money, but for a promise of feedback. You can find the feedback form here. 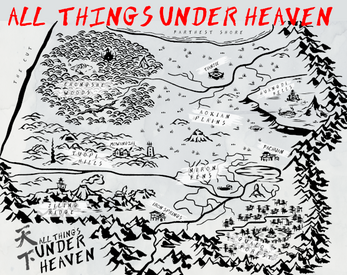 All Things Under Heaven is made available in exchange for a commitment to provide playtesting feedback. This might be feedback from just reading the game, or from actual play (either as a participant or as a GM). Engage with the game, to whatever extent you want & can. If that's just reading it, awesome! If you play or run a oneshot, that's great. If you pull off a campaign, I'm gonna be delighted. Fill out the playtest survey, found on the game page or hyperlinked in the How to Play doc. Please answer every question. Offer problems rather than solutions. If you encountered issues, explain your problem (and your workarounds) rather than giving advice or possible fixes.